Equip participants with practical skills for managing interpersonal difference and disagreement. Address the impact of personal style, culture, and power on conflict. Provide technical proficiency in structured-dialogue and mediation techniques. Benefit both potential mediators and others interested in developing better skills for handling the difficult conversations we all face. Who should attend? 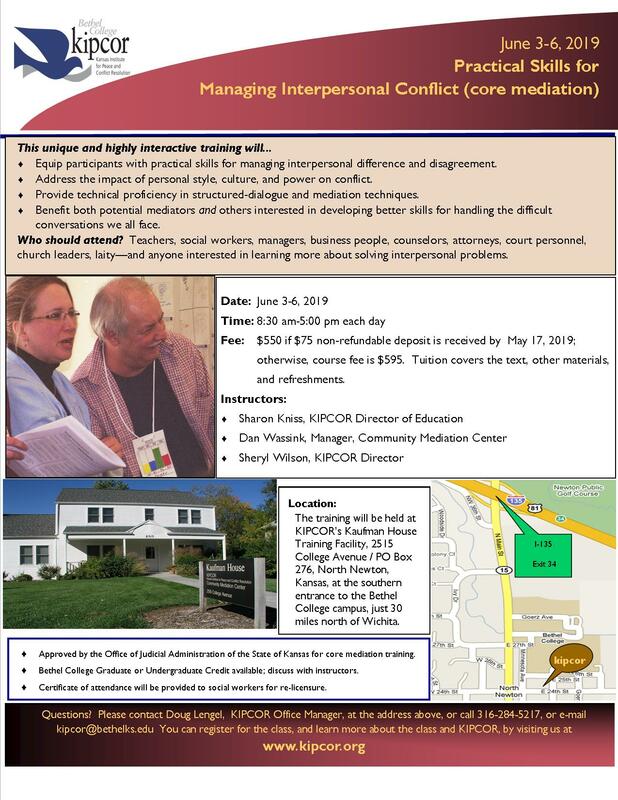 Teachers, social workers, managers, business people, counselors, attorneys, court personnel, church leaders, laity—and anyone interested in learning more about solving interpersonal problems.